I started translating Old English grad school. First semester of my PhD program, I took a course in Old English language and literature, and started knocking out translations of the poems, to better learn the material. Found I really liked doing it so I kept going. 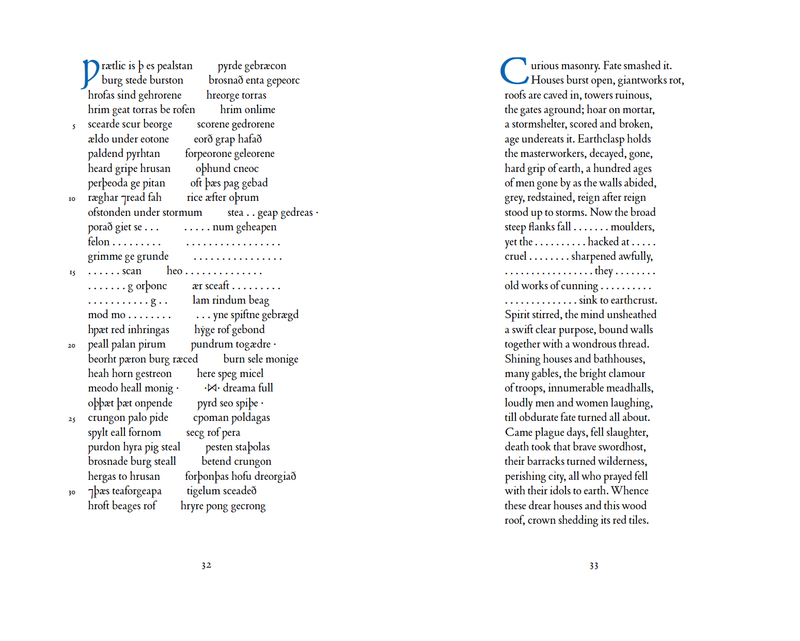 Christopher Patton’s translations from the Exeter Book – a volume of Old English poetry used, over centuries, to store gold foil for illumination of texts thought more meaningful – draw the poems into a modern idiom without quieting their unearthly strangeness. 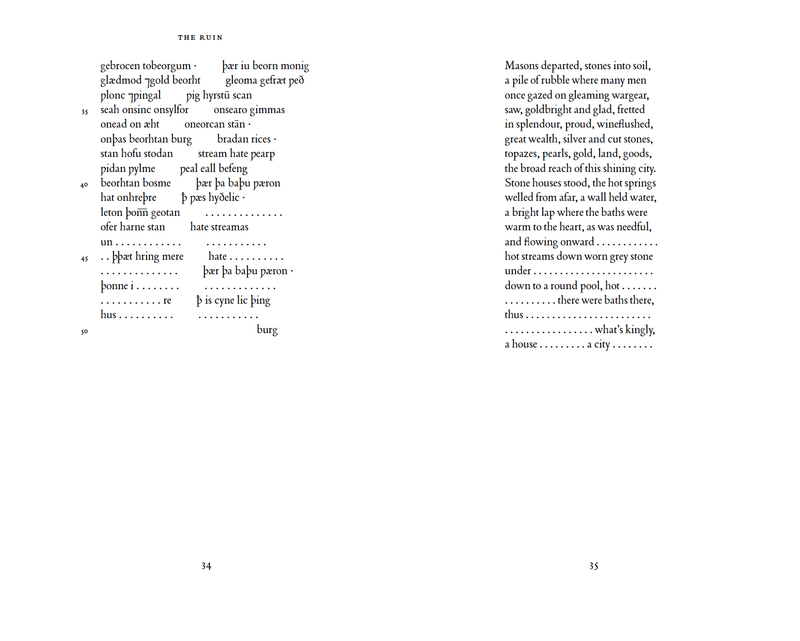 His sense of their passage through time also yields “Hearth,” a take on “The Earthwalker” that uses type and white space, speech and silence, to embody the “play of duration and flux” consuming both the physical manuscript, and the worried, reflective speakers of its poems. Here’s a poem in it (click to biggenize).